Bank farm poultry have just taken delivery of their new Lock Blox fresh food vending machine from Vending by JSR. This machine will be use to sell their own eggs and butchery meat. 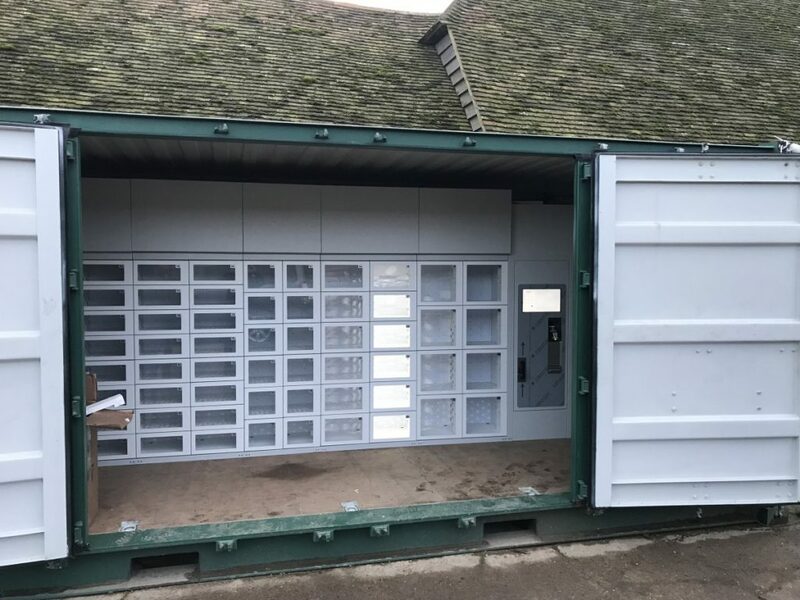 the machine has been built into a side opening shipping container and will be used in a number of different locations as a pop up shop. Doug Wanstall of Bank Farm says “we are looking forward to getting the machine out there”. “The container and machine have still to be sent to the sign writers to be wrapped and branded but we hope this will be done in the next week or so”. “Housing the machine in a container means we can move and transport it easily”. Doug sees this as very much a prototype for an idea for a range pop up shops he would like to do. The machine has a remote controlled chiller so he can have the machine chilled or not depending what it is selling when. There is no cash systems on this machine to prevent vandalism and as the card reader can do chip and pin and contact less it should be super easy for all types of customers to use. keep an eye out here and on Bank Farm’s social media for when the machine will be live and popping up near you.